#232. 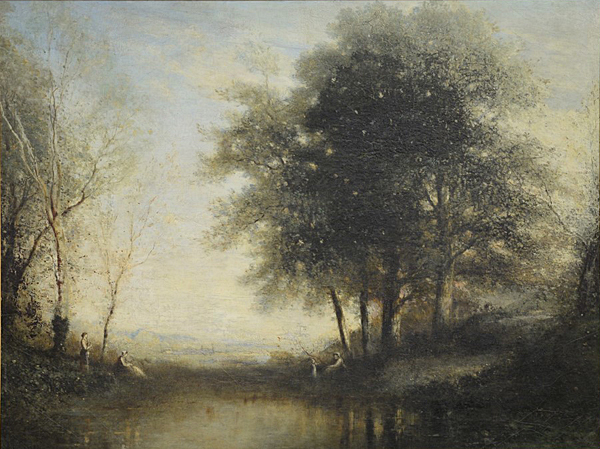 Landscape with Trees and Stream. 41.5 x 55, oil on canvas on board. "Gilbert Munger" lower left. This painting depicts the same group of trees as items #88, #99, #165, #172, and #256. One of these has an 1890 date, implying a Barbizon locale, which it looks to be. From a Munger family member about 1970 to the Connecticut dealer David McCoy, who sold it to a Connecticut collector about 1972. 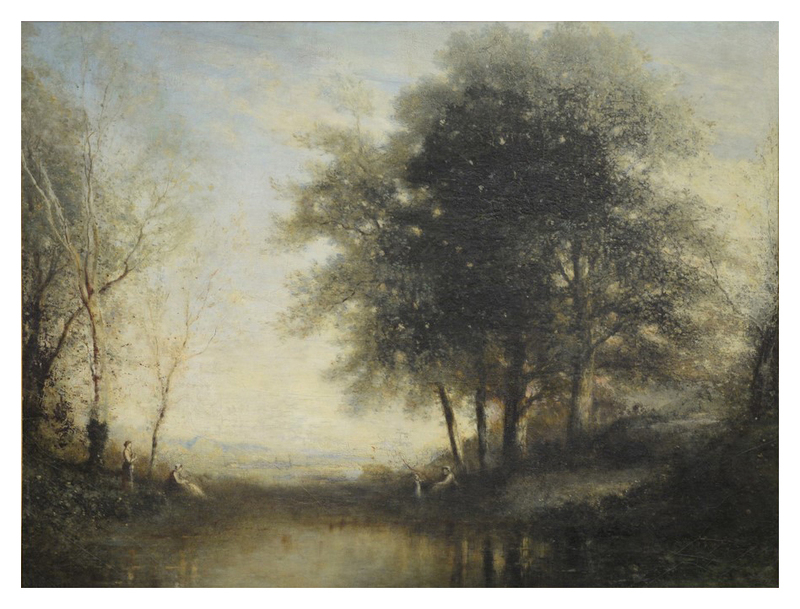 Offered at Nadeau's Auction, Windsor CT, 1 Jan 2017 "Annual New Year's Day" sale as lot 617, est. $2000-4000. Image from author's photo.